DEPUTY Foreign Minister Datuk Marzuki Yahya should have known better. There is nothing really private about a public life. Even a distant past is game for the keen eyes of the public. One such past is now playing out for all to see. Like it or not, Marzuki must face it because it has become a crisis. And a credibility crisis at that. Public relations experts tell us to manage an issue before it becomes a crisis. Their formula is simple: tell it all, tell it early and say sorry, if you are wrong. Is it too late for Marzuki? Well, handling a PR crisis is like medical treatment: prevention is better than the cure. Marzuki’s fault is that he had given too much time for fiction to cohabit with fact. Now, the plot has thickened, and the cure has become all the harder. It all started with a police report lodged by political activist Muhsin Abdul Latheef. Muhsin alleged that Marzuki’s Facebook entry stated that he was a graduate of the United Kingdom’s Cambridge University. Muhsin has not made his motivation nor his timing of the report clear, though. There were also allegations of Marzuki’s profile in open-source Wikipedia describing him as a Cambridge University alumnus. A check on his Wikipedia profile entry yesterday revealed Marzuki to be an alumnus of Cambridge International University (CUI), the United States. 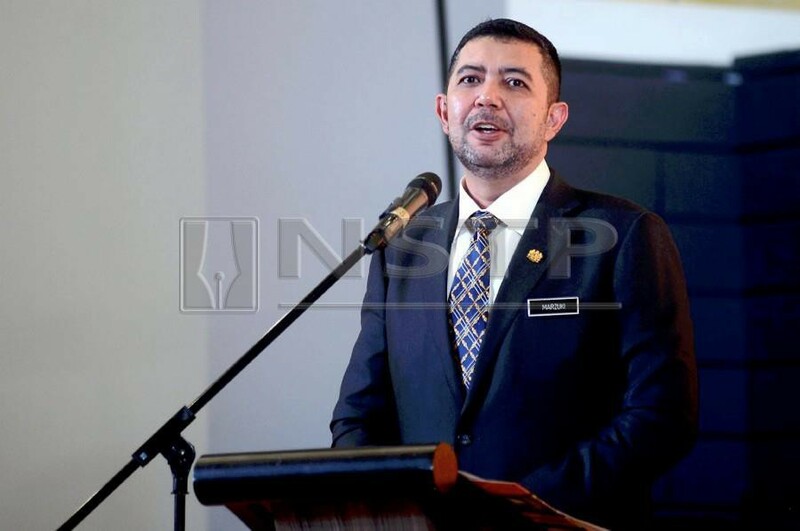 Moved to clarify the qualification quandary, Marzuki issued a media statement on Feb 8 — this breaks the “tell it early” rule — only to muddy the already muddied waters. For some unexplained reason, he did not address the Facebook entry allegations that Muhsin made against him. He did, however, say that he did not have anything to do with the Wikipedia entry. Now the week-old narrative on the dubious degree has become nastier. The crisis — three Muhsin police reports and a Marzuki statement later — the storyline has the making of a Kafkaesque absurdist novel. It is hard to tell where fact ends and fiction begins. Take the case of the transcript supplied by Marzuki. If not for the eagle-eyed journalist of the New Straits Times who first spotted the anomaly, readers would have missed the grade-for-grade resemblance of Marzuki’s results to that of the template transcript posted on CIU’s website. Except for the name of the person and other student details on the template, everything is a direct copy. Good copy? Bad copy? Marzuki must come out and tell it all. We would like to put one thing straight, though. Marzuki’s career may be at stake here, but this newspaper’s scrutiny of the dubious degree is not a witch hunt. We pledge to extend this very same scrutiny to others who are similarly embroiled. The spotlight may not be on them now, but this much we promise: we will not spare anyone. We will apply the same yardstick even on those who are in the business of scrutinising public officials. Others must do the same. Good journalism’s first obligation is to the truth. Qualification quandary or otherwise.